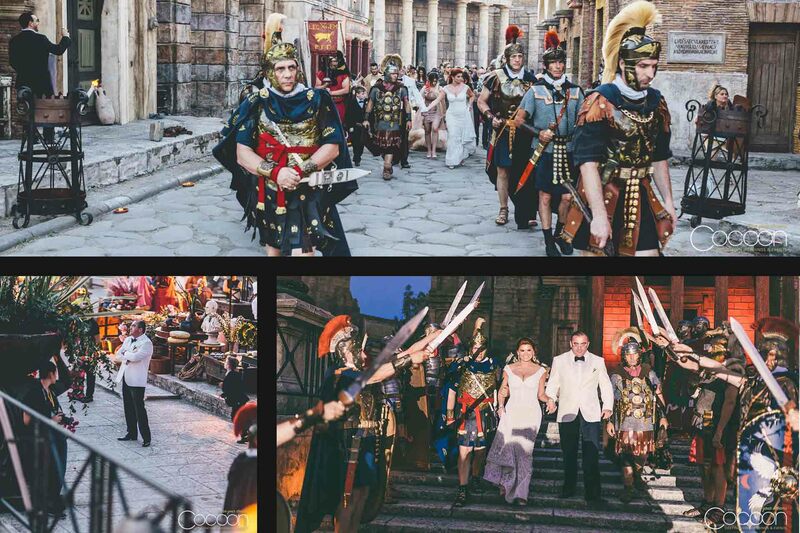 It’s safe to say that Ilona and Boris are just a little obsessed with Rome. 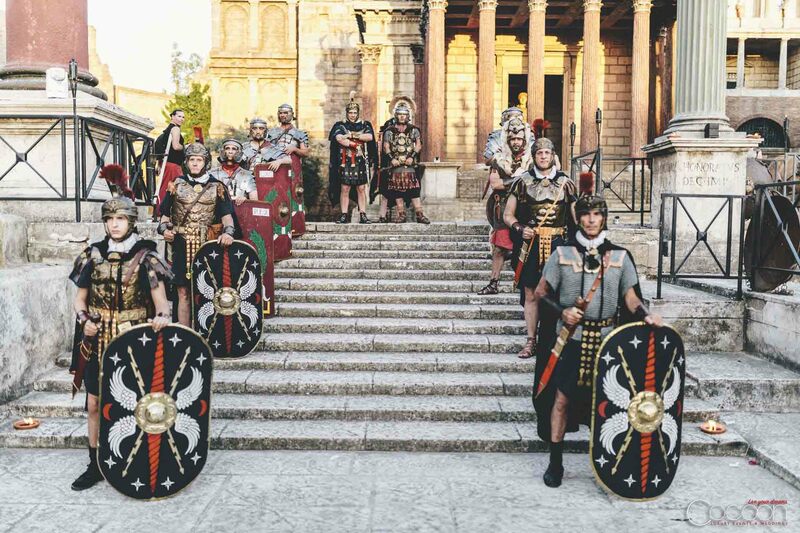 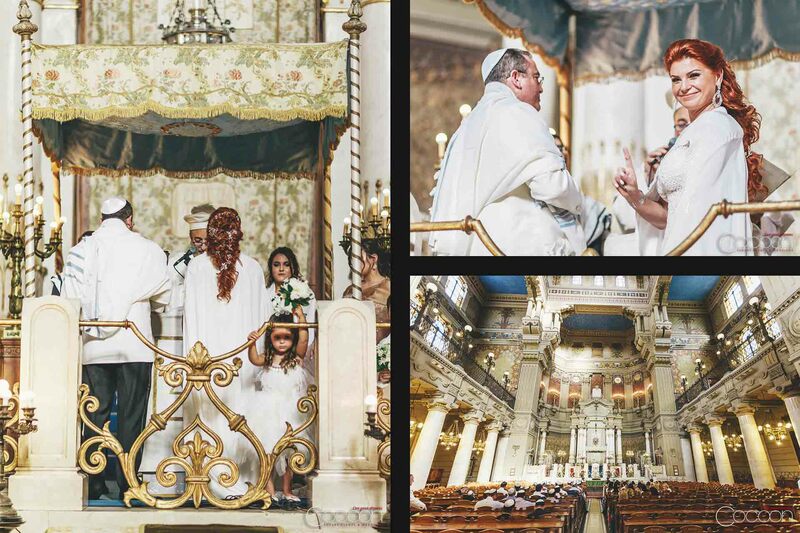 She wanted to marry at the Grande Synagogue, while he had been dreaming of gladiators since they appeared in his books as a child. 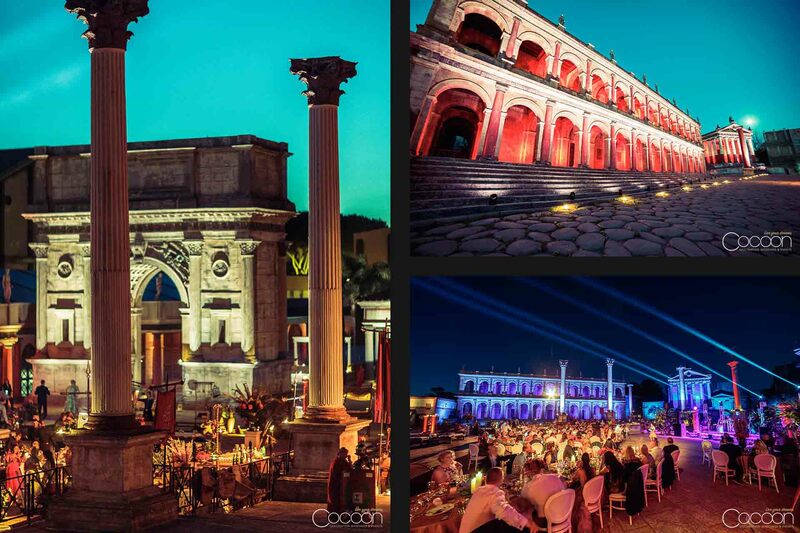 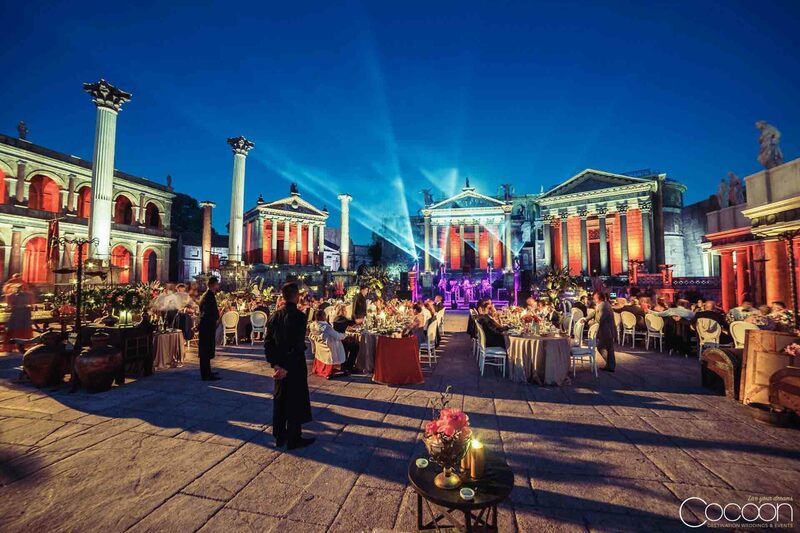 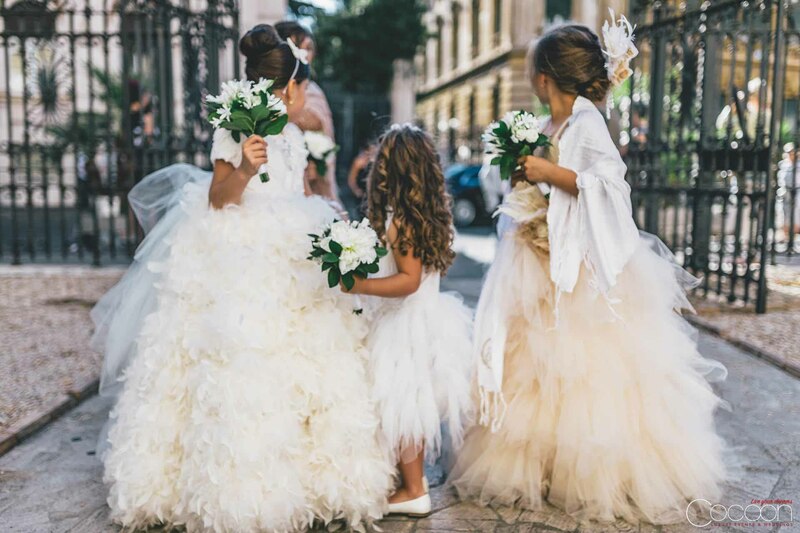 We took this knowledge and created a unique and exclusive destination wedding in Rome. 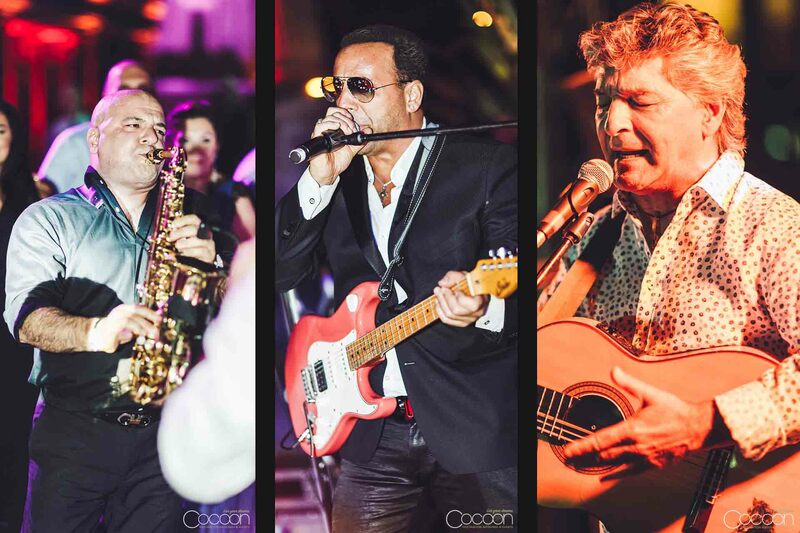 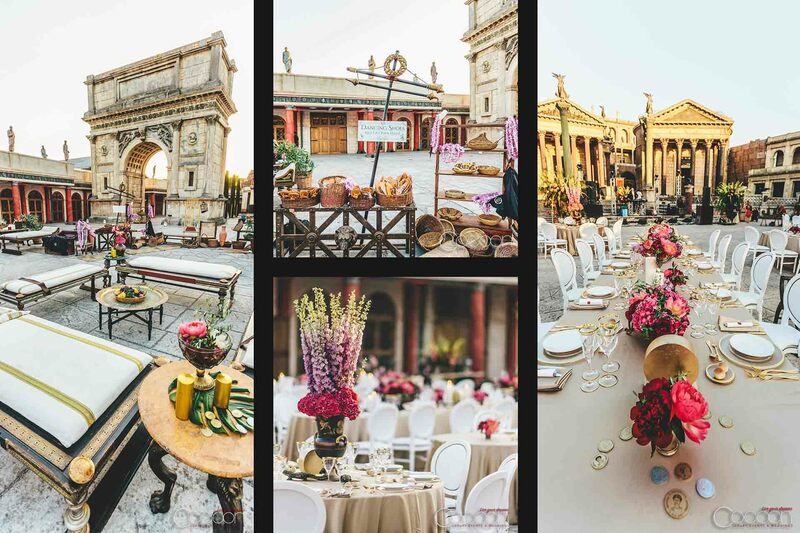 Three crazy days in the ancient city conjured up by Fabrice Orlando started at Antica Pesa with a Dolce Vita-themed welcome party. 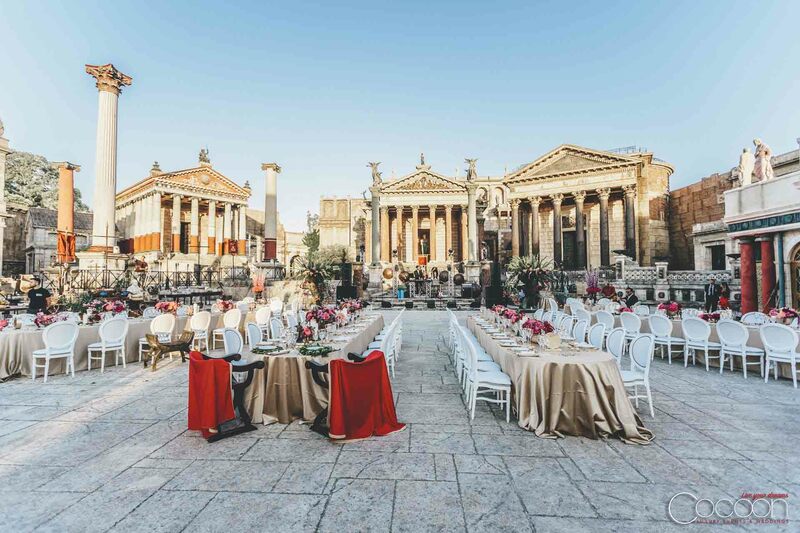 Guests then enjoyed a brunch at the legendary Da Meo Pattaca, with entertainment by the World Pizzaiolo Acrobatic Champion. 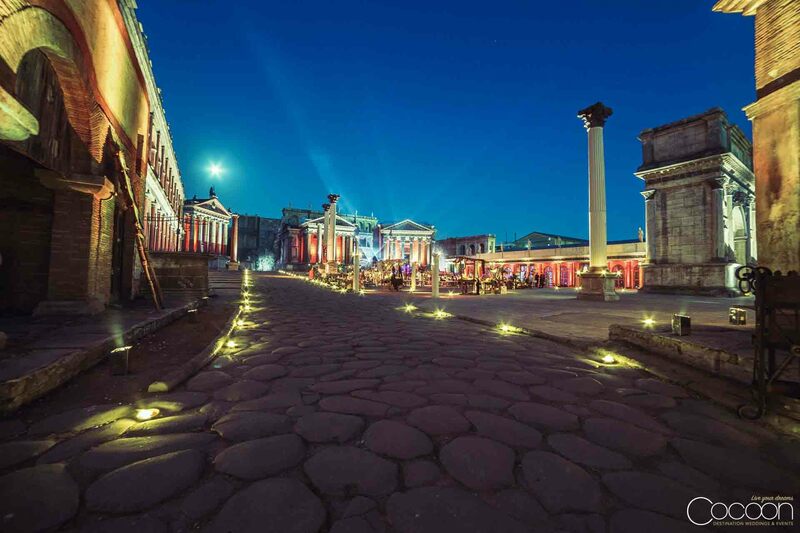 Of course, there was more than enough fresh-cooked pasta to go around! 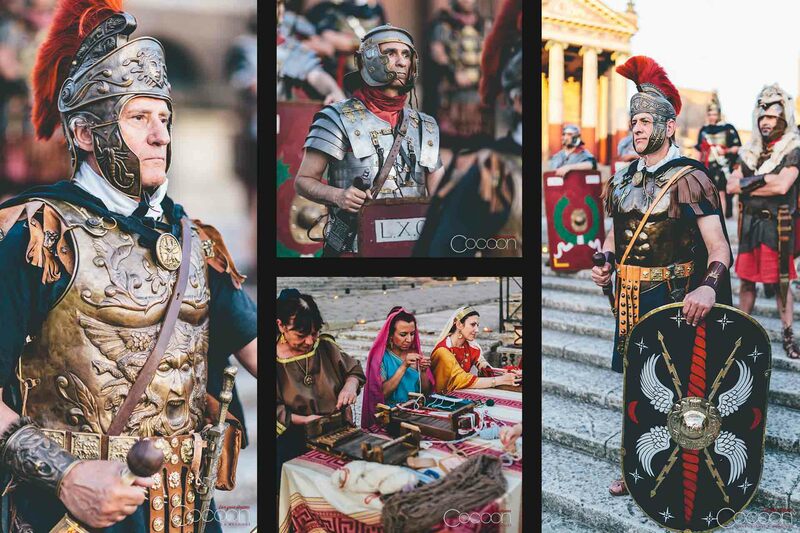 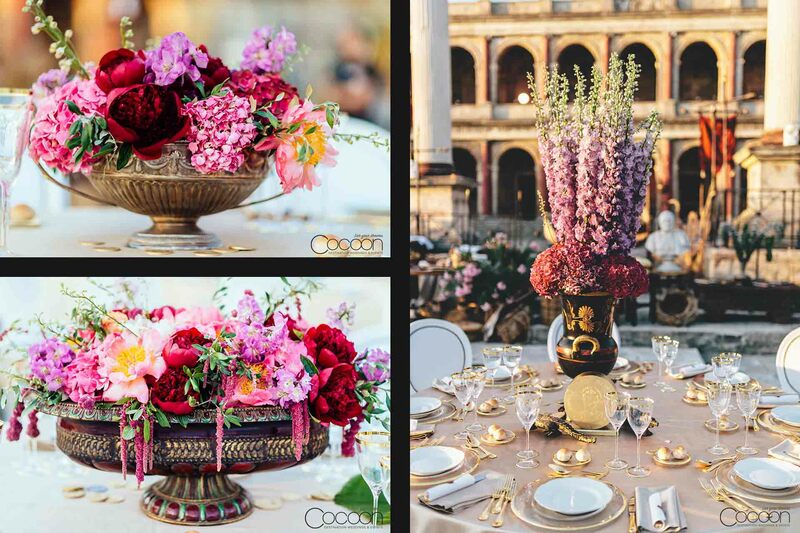 The theme of the main table was “Gold and Red,” the colors of the Roman Empire. 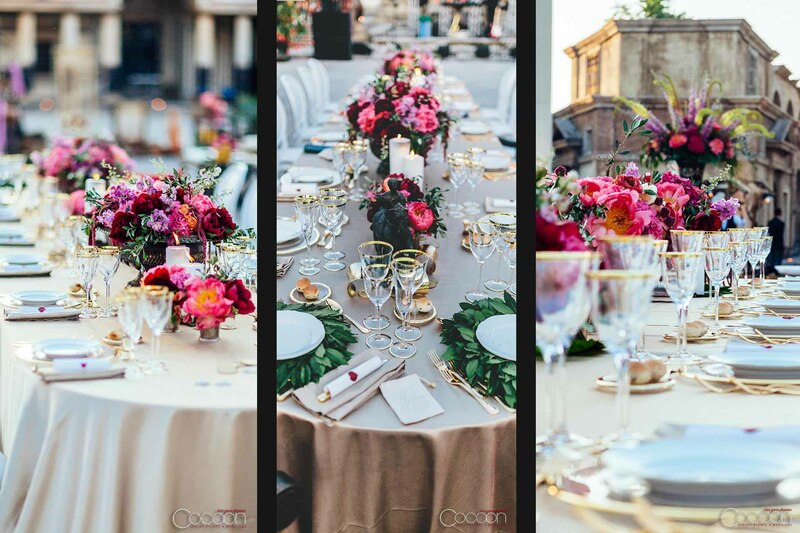 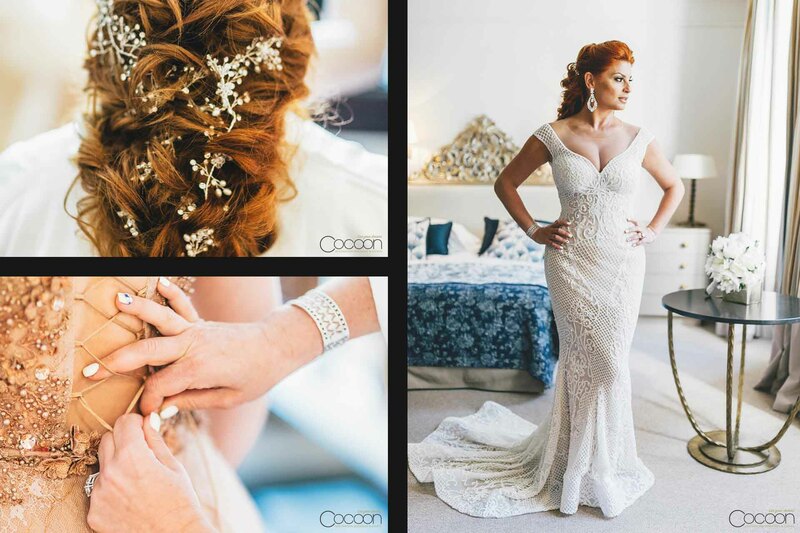 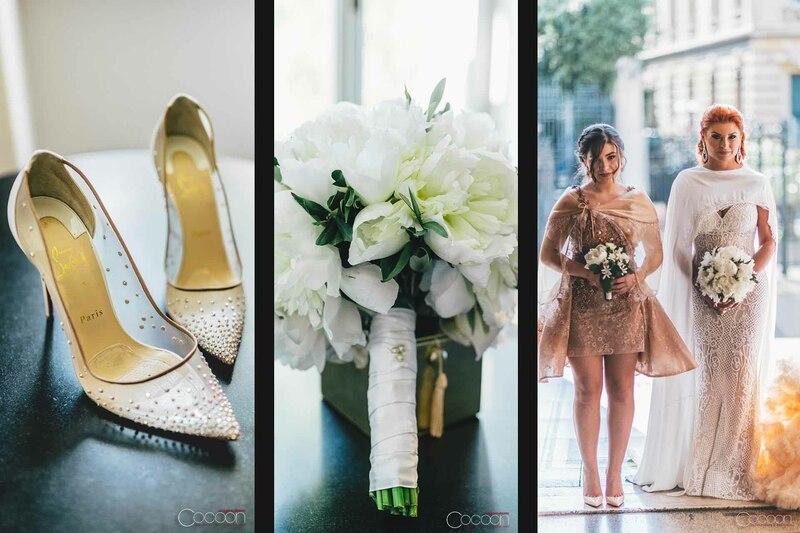 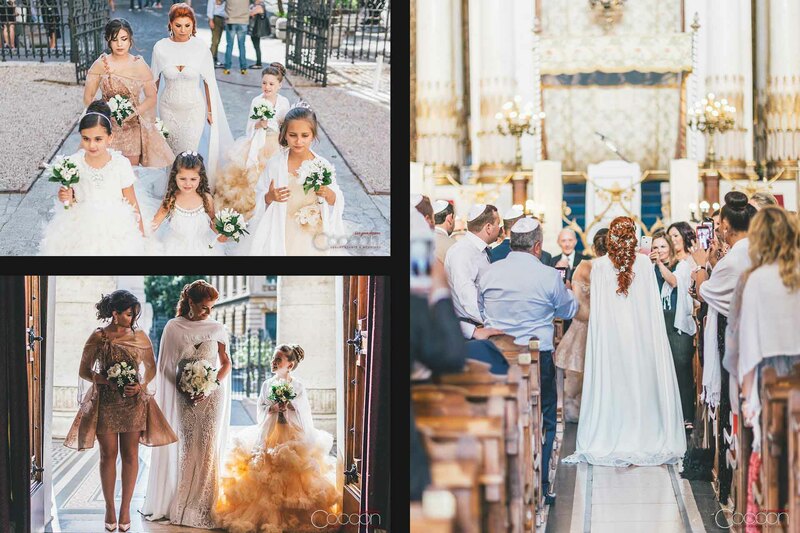 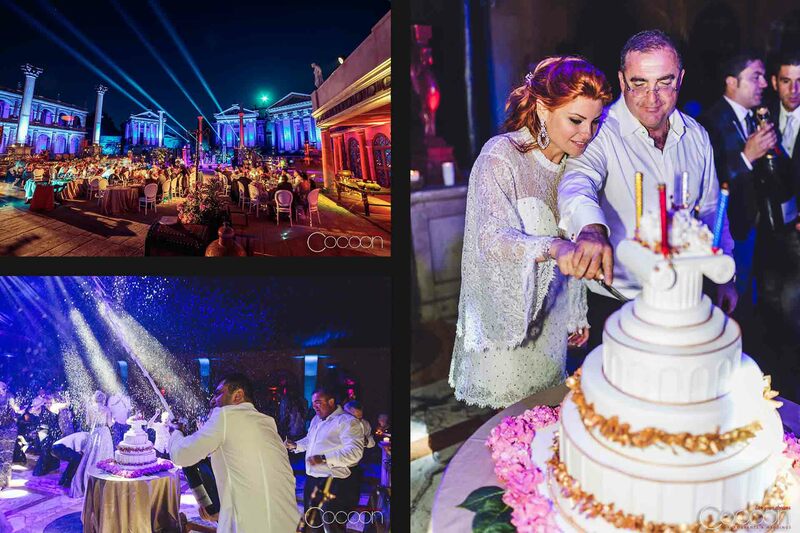 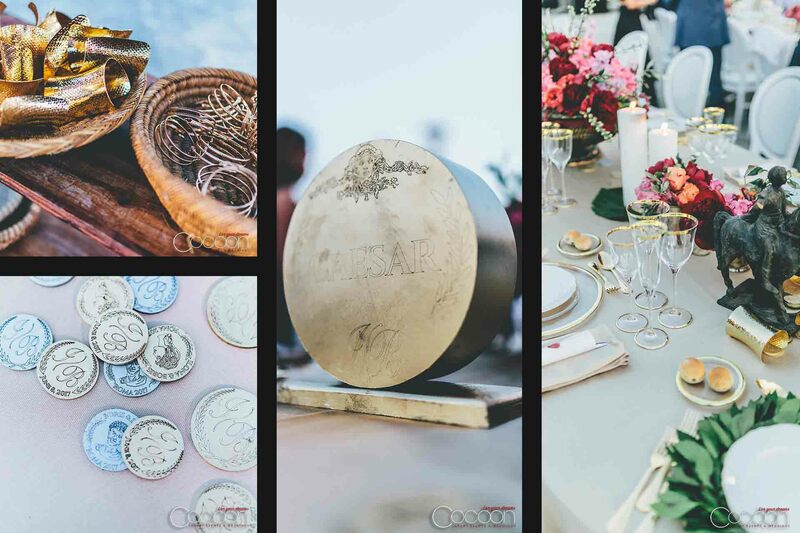 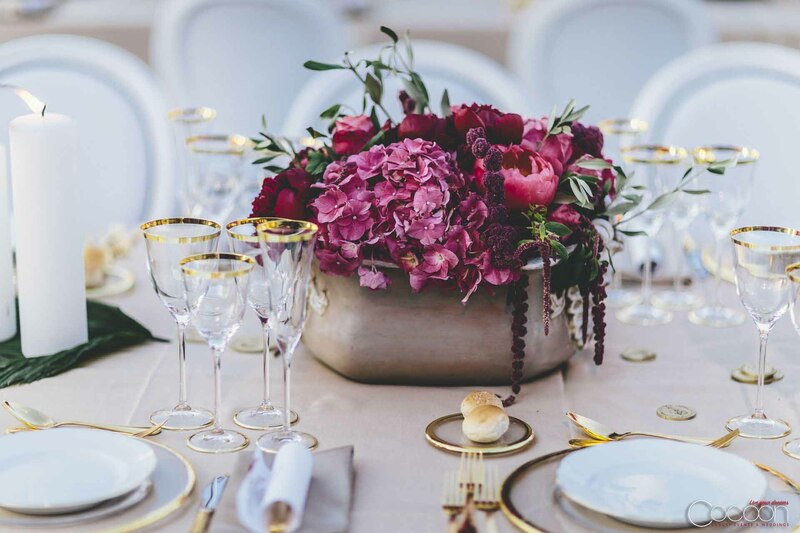 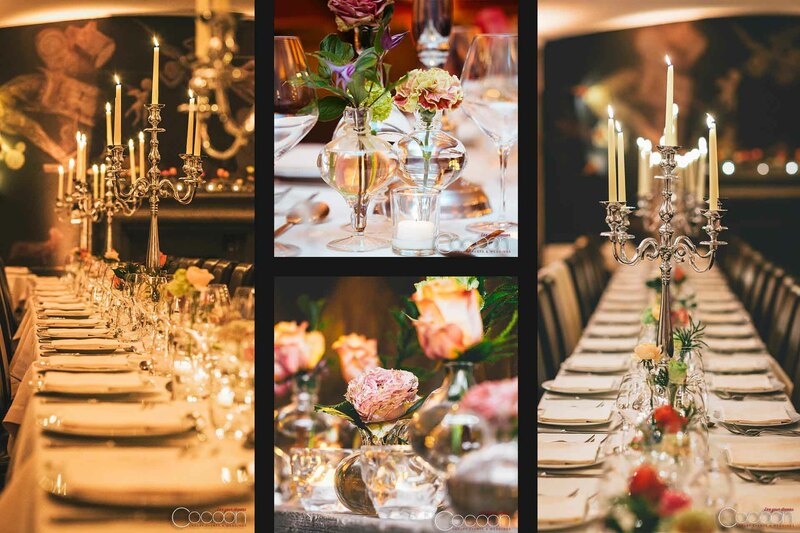 We used crystal glasses, gold cutlery and 900 antique décor pieces from ancient Rome to achieve our look and give Ilona and Boris one of our renowned Rome luxury weddings and weekend of their dreams.